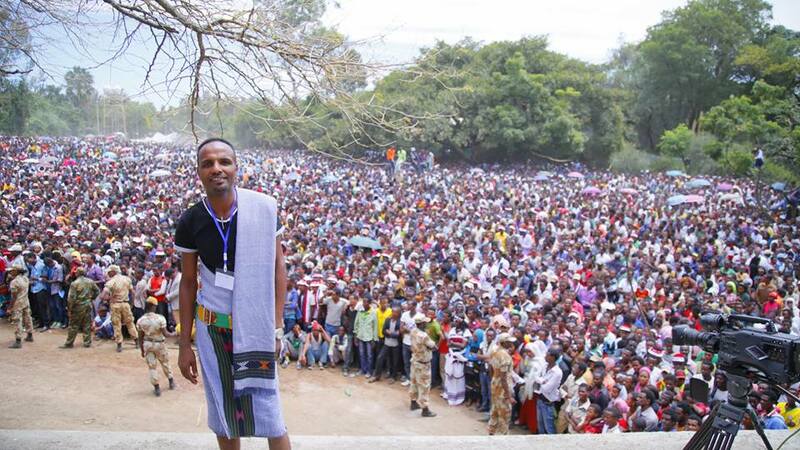 Up to 1.5 million people are expected to participate in this year’s celebration in the town of Bishoftu, 40 kilometers (25 miles) south of the capital Addis Ababa, she said. Last year security forces at the Irrecha gathering dispersed anti-government protesters with tear gas and gunfire, triggering a deadly stampede that officials said killed at least 50 people. Activists said the death toll was much higher. Subsequent large-scale anti-government demonstrations across the Oromia region claimed more lives, caused the destruction of several local and foreign-owned companies and led to the declaration of a statement of emergency that lasted for 10 months. “We are already witnessing signs of tensions as the day of the celebration draws closer,” said Nimona Nigash, a resident of Bishoftu town. “People are told to avoid displaying anti-government signs and wearing black clothes during the event. Human Rights Watch has urged the Ethiopian government to allow an international inquiry into the deaths at the 2016 event and has called for restraint to prevent casualties at this year’s festival. Ethiopia has refused to allow outside independent investigations into last year’s deaths despite repeated calls by the United Nations and rights groups. The Irrecha festival is an annual thanksgiving event celebrated by ethnic Oromos to mark the end of the rainy season and the start of spring. Posted on September 26, 2017, in News and tagged Bishoftu, Irreechaa, oromia. Bookmark the permalink. Leave a comment.